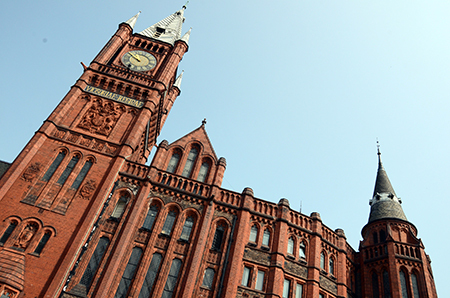 The University of Liverpool is the 150th best university in the world, according to the first ever Best Global University rankings published by US News and World Report. Liverpool achieved an overall score of 51.2%, placing the institution 55th in Europe, 15th in the UK and 14th in the Russell Group. Its performance was particularly strong in terms of international collaboration (4th in the Russell Group), and the subject-normalised citation impact from publications (11th in the Russell Group). The top three positions went to US universities, with Harvard taking first place followed by Massachusetts Institute of Technology, and California Berkeley. Oxford and Cambridge were the highest placed UK institutions at fourth and fifth position respectively. The new survey, which focuses on research reputation, ranks 500 universities in 49 countries using ten weighted indicators to measure each university’s global research performance. It is based on information derived from the results of the Academic Reputation Survey produced by Thomson Reuters and bibiliometric data from Web of Science. Subjects the institution achieved a top 100 ranking for were Social Sciences and Public Health (44th in the world), Pharmacology and Toxicology (62nd), Immunology (79th), Plant and Animal Science (79th), Microbiology (81st). For more details contact Nicola Pugh – napugh@liv.ac.uk in the research Policy Office. As the University’s Sustainability Officer I work with the various Project Teams to ensure that construction/refurbishment work undertaken across the institution delivers an enhanced space for both its users and the environment. Unfortunately, as part of the full refurbishment of Melville Grove we were required to remove the overgrown Ivy on the gable end to check the integrity of the building fabric and remove a pest problem. The refurbishment is allowing us to deliver a much more energy efficient building and once completed will be landscaped to improve and enhance the biodiversity of the area. But not surprisingly nearly bottom of the UK Univ. Green league especially as more trees, and gardens are concreted over when derelict buildings like Chadwick tower are left to rot. Even worse is the sheer needless destruction this week in Melville Grove halls where all the ivy was torn down. Ivy is needed in winter as food and shelter for insects such as butteflies and bees and is actually environmentally good for buildings. Need to appoint a green officer, so that sensible policies are implemented.